The Art of Urban Sketching is both a comprehensive guide and a showcase of location drawings by artists around the world who draw the cities where they live and travel. 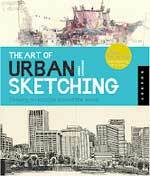 Authored by the founder of the nonprofit organization Urban Sketchers (www.urbansketchers.org), this beautiful, 320-page volume explains urban sketching within the context of a long historical tradition and how it is being practiced today. With profiles of leading practitioners and discussions of the benefits of working in this art form, this inspiring book shows how one can participate and experience this creative outlet through modern-day social networks and online activity. A delightful mélange of writing and images that explores our passion for gardens. Why are we so passionate about gardens, and what do they represent? 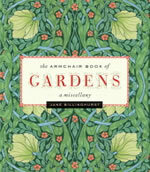 In chapters titled “Shades of Paradise,” “Statements and Style,” “Gardens for Body and Soul,” “Gardeners Rampant,” and “Purely for Pleasure,” this fabulous collection of prose and visuals looks at gardens throughout history and across cultures from many angles, celebrating their sensual, spiritual, aesthetic, social, and even political dimensions. Family values, hard-won success, and tough love for tough times: when we talk about America as an image and an ideal it is generally the enduring reality of middle-American virtue, deep roots, and rural life that we imagine. Focusing on Adams County in the Columbia Plateau in eastern Washington, Drylands, a Rural American Saga is a pictorial essay documenting the reality underlying our national self-portrait. Both an exception to and a paradigm of the country’s agricultural folkways, Adams County offers a panorama of rolling cropland, sagebrush scree, and deep coulees formed by volcanic forces and ice-age floods. The shortage of rainfall, however, mocks the richness of the soils produced by prehistoric events. Yet as documented in these pages, the harvests of Adams County produce a significant share of the nation’s food, standing as clear testimony to the skill and perseverance of those who work the land. Have you ever seen the delicate flowers of a red maple? The emerging leaves of a tulip poplar? The twigs of a beech? When you look at a tree up close, you begin to appreciate trees in a whole new way. 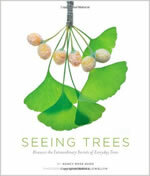 Seeing Trees invites readers to watch trees with the care and sensitivity that birdwatchers watch birds. Focusing on 10 common trees of North America, Nancy Ross Hugo highlights the rewards of tree viewing and describes some of the most visually interesting leaves, flowers, fruits, buds, leaf scars, twigs, and bark of familiar trees. Using software developed for work with microscopes, Robert Llewellyn created incredibly sharp close-up photographs of the tree detail by stitching together 8 to 45 images of each subject—each shot at a different focal point. The combination of these lavish photos with Nancy Ross Hugo’s writing makes each page come alive with the beauty of the growing process. The result is a gorgeous journey into the life cycle of trees.